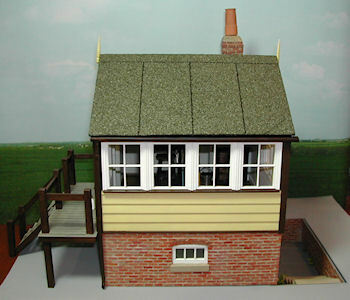 Complete kit to build a signal box tower for a garden railway. Based on the Castle Caereinion on the Welshpool & Llanfair Light Railway. 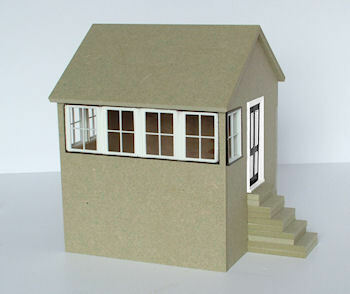 Overall Dimensions of the building: 7-1/4 wide x 7-3/8 deep x 8-7/8" high (184mm x 188mm x 225mm).